PM Modi will be addressing the rally in Bengaluru’s Palace ground at 2 pm. BJP Karnataka President BS Yeddyurappa invited the people of the city to attend the rally by sharing this news on his Twitter account. 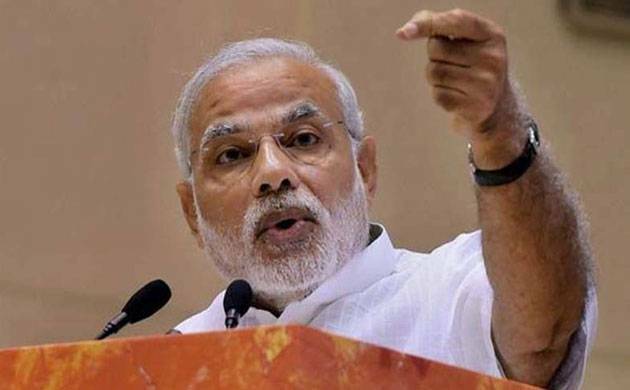 Prime Minister Narendra Modi will address a rally in Bengaluru on Sunday afternoon and mark the conclusion of the party’s 90-day Nava Nirman Parivarthan Yatra in the poll-bound state of Karnataka. The party’s state unit is using all means of social networking site to disseminate the information and gather as much crowd as they can. They have also opened online registration for the same. Elaborate security arrangements have been made in the city ahead of the rally. Earlier, pro-Kannada groups were set to observe a bandh in the city over the Mahadayi river dispute with Goa on Sunday, but the bandh had been called off since the High Court had ordered a stop. However, now, they will observe a black day in the city. The black day will be observed at the freedom park and the activists will be wearing black bands. Prior to this, PM Modi was scheduled to address this rally on January 28, 2018, but because of the Parliament session and budget presentation, the rally was pushed to Sunday. The 90-day Nava Nirman Parivarthan Yatra was flagged off by BJP Chief Amit Shah on November 1 and was led by Yeddyurappa.